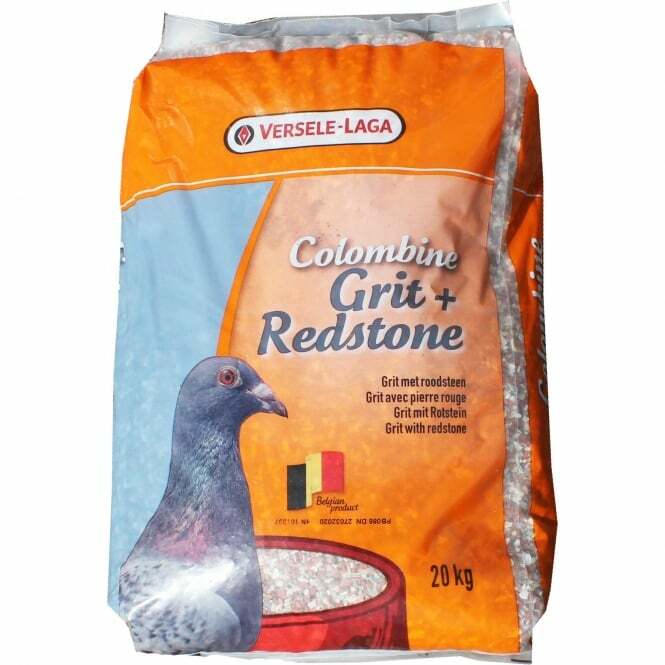 Versele Laga Grit Plus Redstone is a washed and sterilized grit including redstone. It comes in a large 20kg bag and contains gastric grinding stones, silex-stones, oyster shells, sea shells, redstone and charcoal. Also contains aniseed to encourage consumption. Ensures an optimal digestion and produces solid droppings. Make available on a separate tray and refresh daily. Redstone, Marine Shells, Oyster Shells, Limestone, Stomach Gravel, Silex, Charcoal, Anise (0.2%).